Columbia County Rider will restore limited bus service to Vernonia and Banks and increase Portland access, starting by April 1. With expenses coming in lower than anticipated and money awarded by the State Transportation Improvement Fund going further than expected, funding is available to restore one trip to Portland and one to Sauvie Island, where riders can transfer to TriMet for service into Portland. 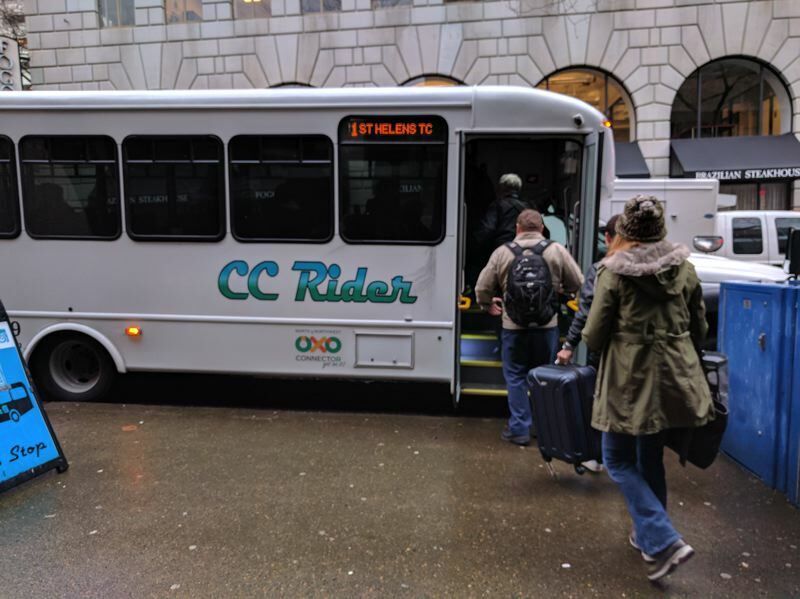 After CC Rider drivers unionized with ATU Local 757 last fall, MTR Western, which operates transit for CC Rider, announced they would terminate their contract in April 2019. Anticipating that any new contract would come at a steep price increase, CC Rider planned service cuts. But MTR and CC Rider are now negotiating a new contract, and CC Rider has reduced their estimates. Todd Wood, CC Rider's transit manager, said ridership in Vernonia has been even lower than they suspected. CC Rider tried a demand-response system. "Unfortunately," Wood said at Wednesday's Count Commission meeting, "the results have been incredibly poor." "We found our initial ridership numbers that we had for several years from that area were not accurate," Wood said. Until CC Rider can attract more riders and gather data on preferred routes, transit officials will only reinstate fixed Vernonia services on Mondays, Wednesdays and Fridays. The restored Vernonia service still won't meet the needs of commuters. "What are we going to do to cover Tuesday and Thursday?" Commissioner Alex Tardif asked Wood. "We're not meeting that need by only serving three days a week"
CC Rider can't afford to add the two additional days of service, at least for now, but Wood said the plan is to seek assistance from STIF and neighboring districts. Through research and conversations with neighbors, including Tillamook transit and westLink, Wood found routes that would facilitate transfers to other transit lines. Users of the Banks-Vernonia Trail will also benefit from the changes. "Once you get on the trail, how do you get back?" asked Wood. "Well, we'd go there if we stop in Banks. It opens up the trail to a lot of folks."